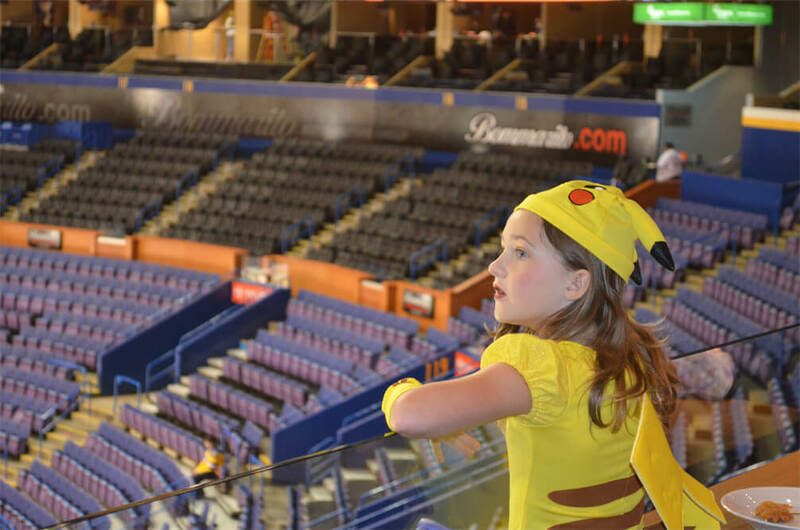 The St. Louis Blues continue to provide special opportunities for our kids to truly be kids and this Halloween was no exception. 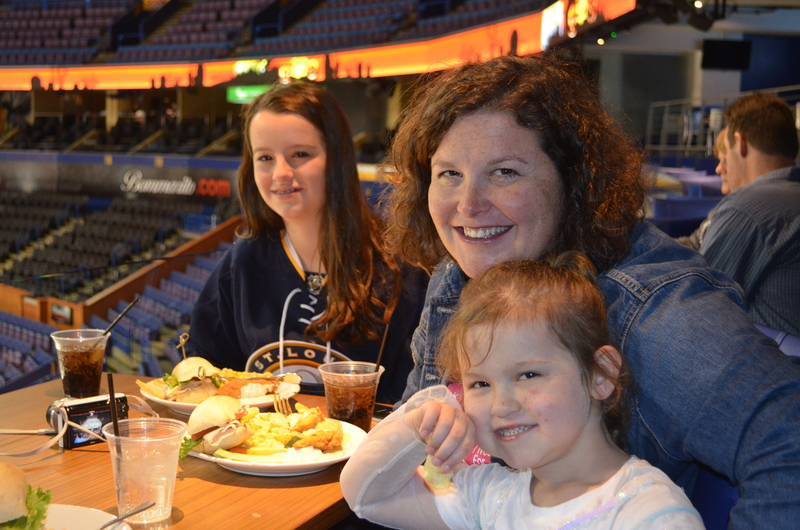 Several families were invited to Scottrade Center for a unique and personal Halloween trick-or-trick event. Kids arrived in costume with smiles on their faces, ready to receive candy and meet the St. Louis Blues players. The afternoon began with a special lunch fit for our monsters, princesses, and Pokemon. 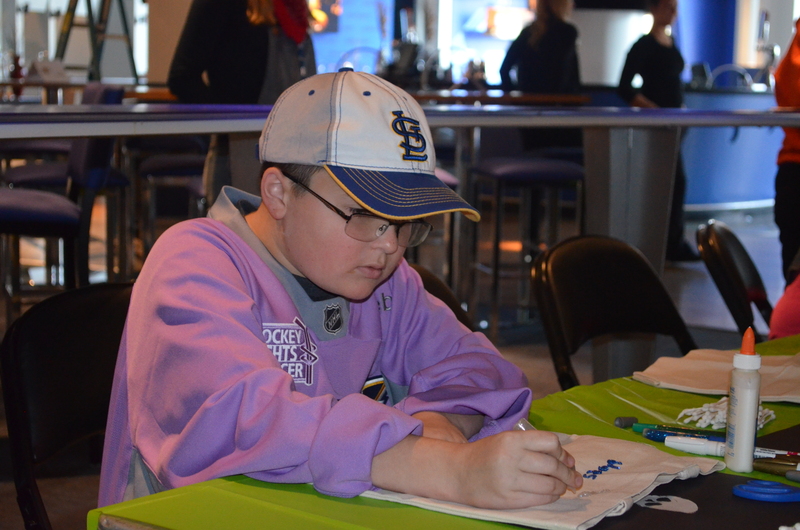 During lunch, the families got to watch the players practice on the ice and decorate their trick-or-treat bags for all the candy and goodies they were about to receive. Next, the kids followed Louie (A.K.A. Louienardo) around to several suites creatively decorated by each administrative department. The spider webs and fog machines could not mask the smiles and excitement as each child opened the door to each suite, unsure of what they would find behind the door. The decorated trick-or-treat tote bags were clearly no match for the amount of candy and goodies given to each child. Luckily mom, dad, and grandpa were there to lend a hand. The final surprise of the day was what the kids had been waiting for. 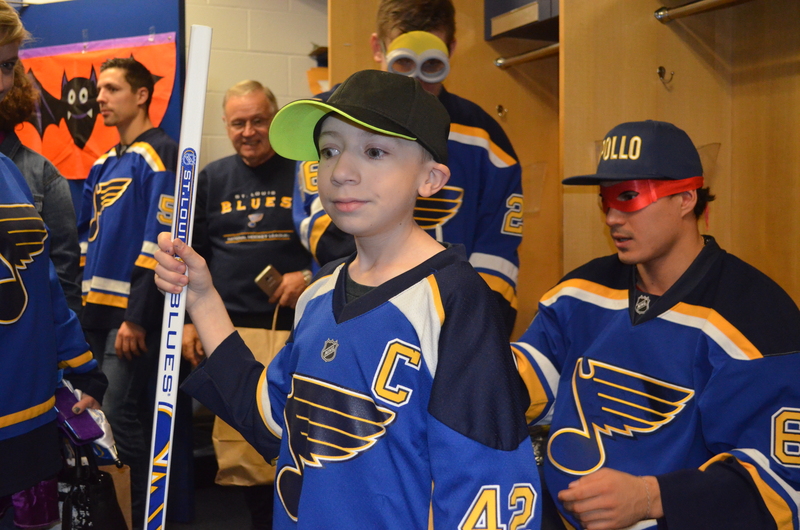 As they approached the St. Louis Blues locker room, the kids' faces lit up as they pulled out their jerseys, hats, and even hockey sticks in hopes of getting them signed by their favorite player. As the first door opened to the locker room, the kids were greeted by eager Blues players dressed up and with buckets of candy. This was a touching experience for not only the kids but also the players. The players spent time meeting each child and signing their memorabilia. This was an experience of a lifetime for these kids who deserve to be kids. 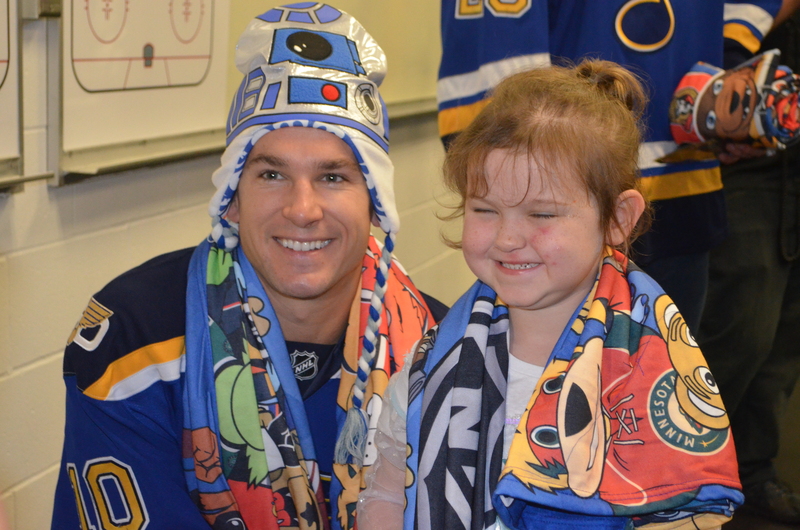 Thank you, St. Louis Blues for this special Halloween event and for all of the wonderful things you do to put smiles on kids with cancer's faces and create lasting memories for families. YOU help kids with cancer...be kids! View a video of the trick-or-treat event HERE.